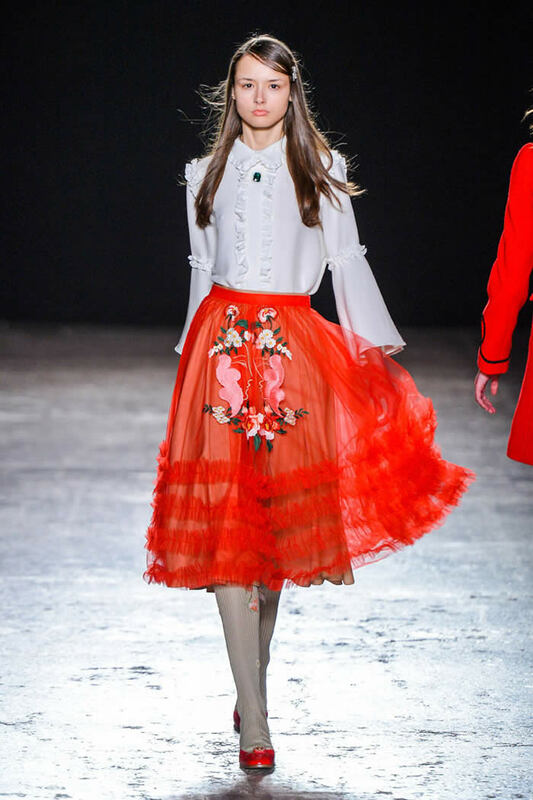 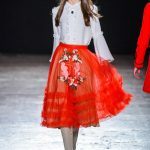 If you style a sheer, bow-tied ruffled dress with a beret, or pair a hyperfeminine outfit with nerdy eyeglasses, socks and slippers, the look is bound to suggest one thing these days: Gucci. 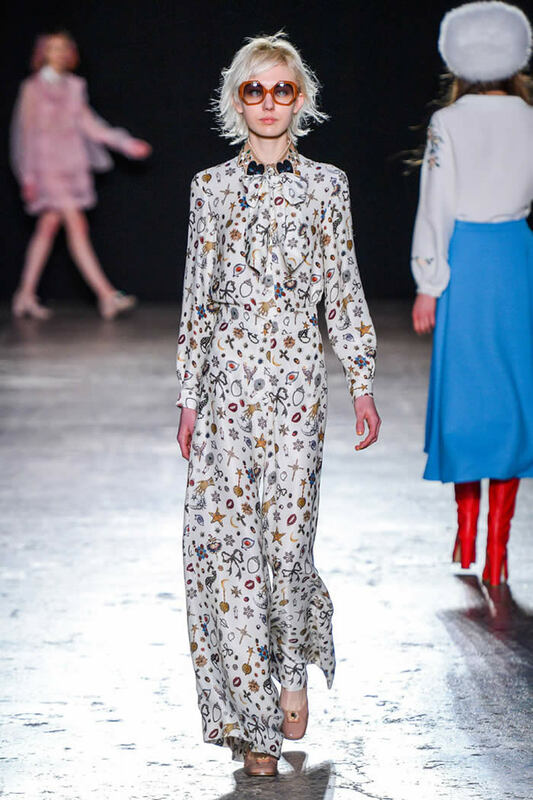 For fall, Vivetta Ponti took the Alessandro Michele effect too far. 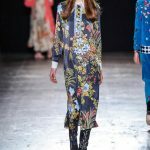 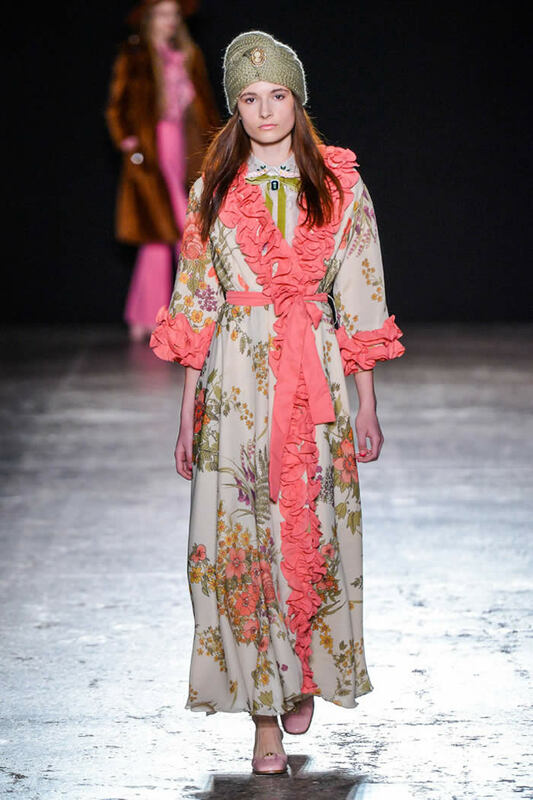 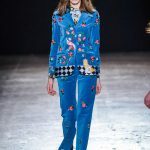 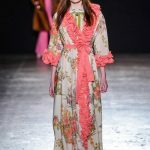 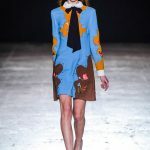 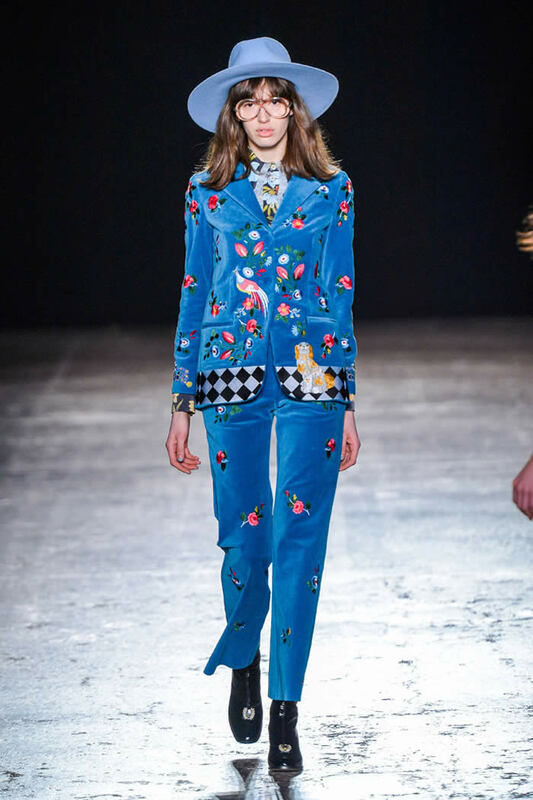 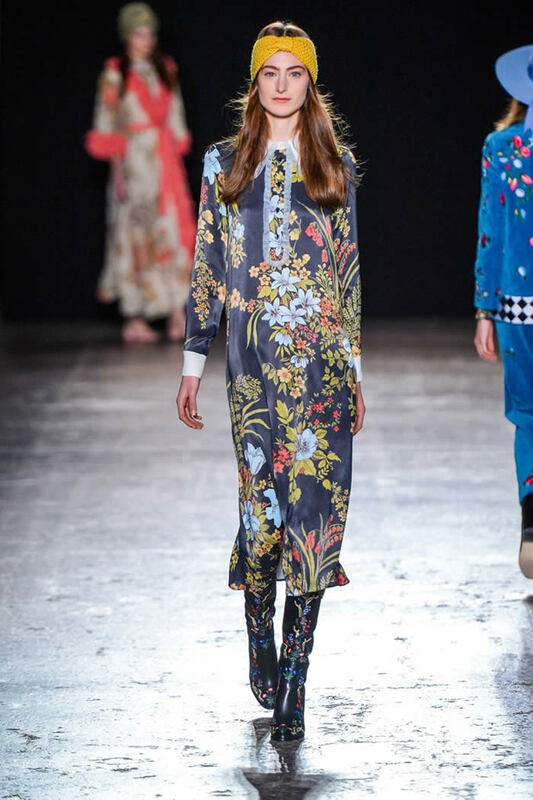 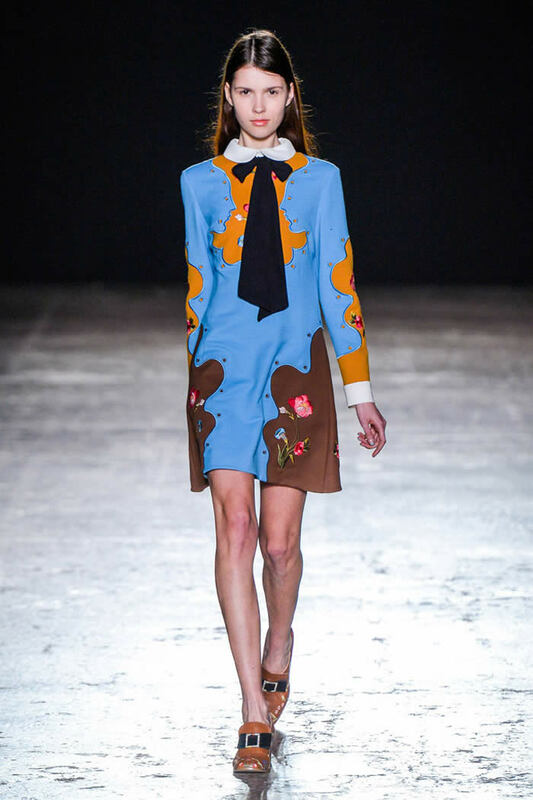 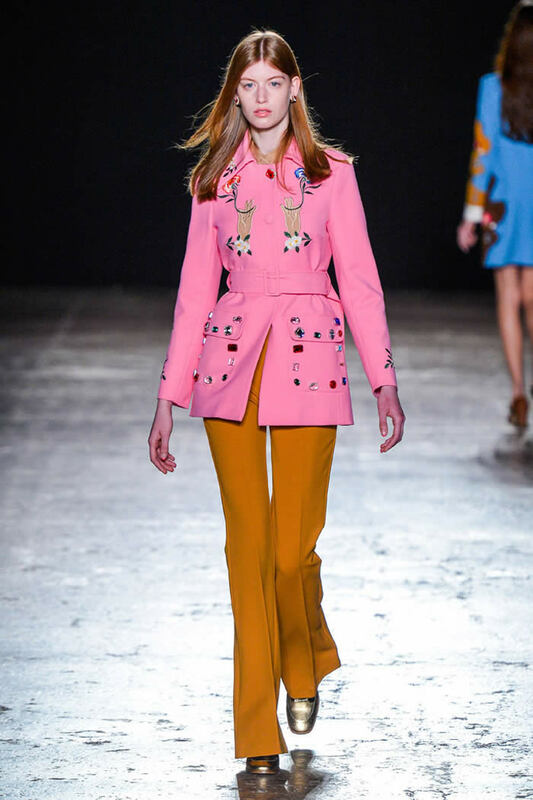 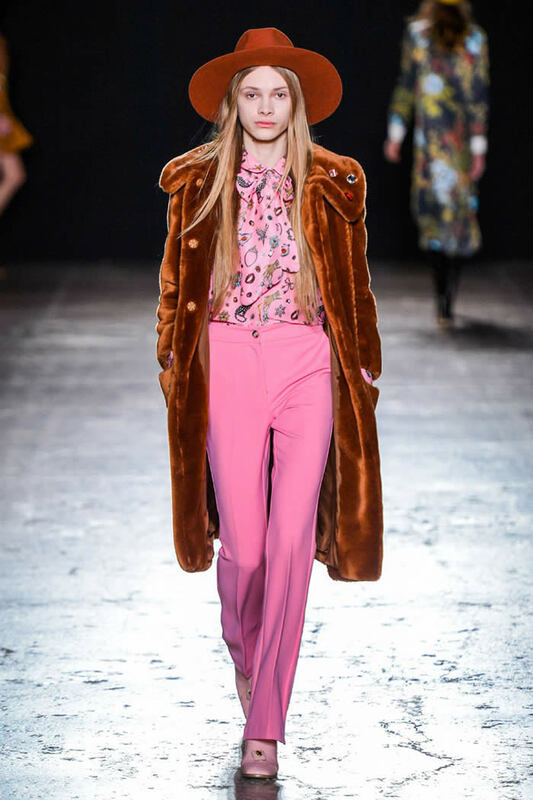 That eccentric, hyperdecorative style is definitely part of the designer’s aesthetic, but many of the looks felt too similar to those on Gucci’s catwalk the past few seasons. 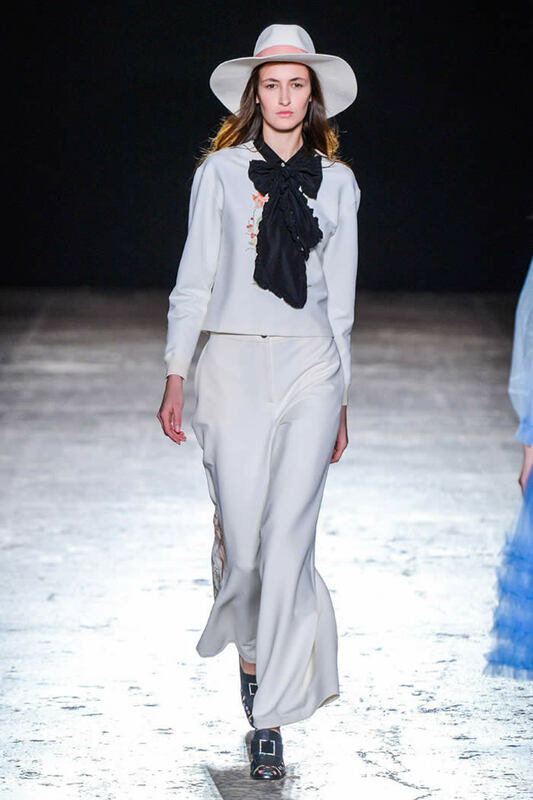 The best results came when Ponti reworked some of her signature’s elements, such as the face-shaped embroideries which this season got an Art Deco-inspired makeover. 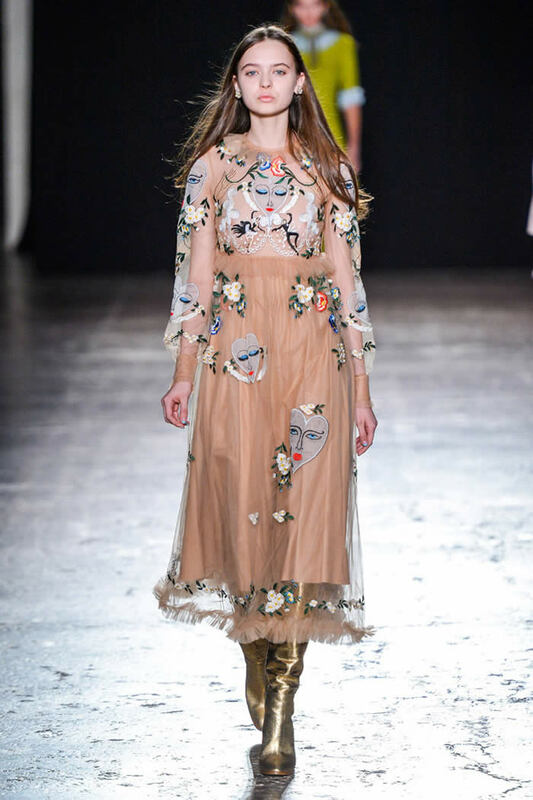 They appeared on a range of pieces, including a long dress with see-through inserts. 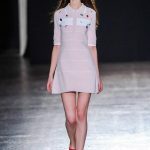 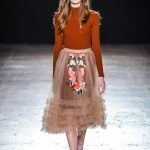 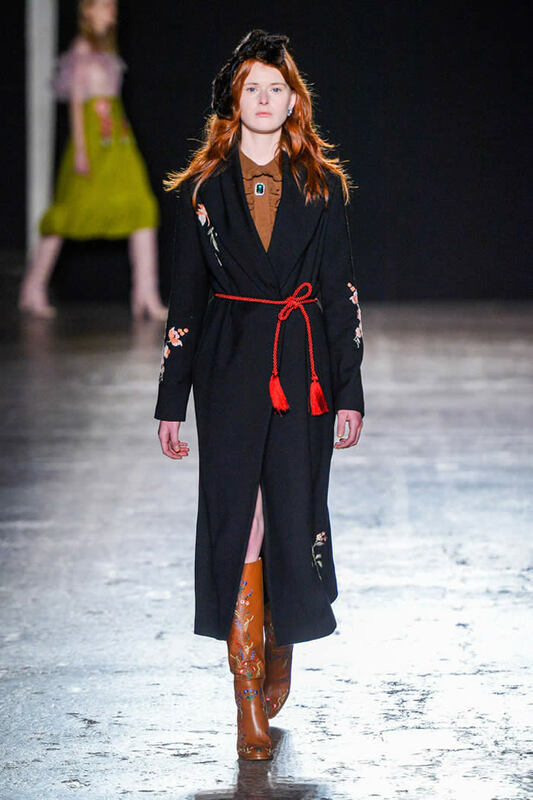 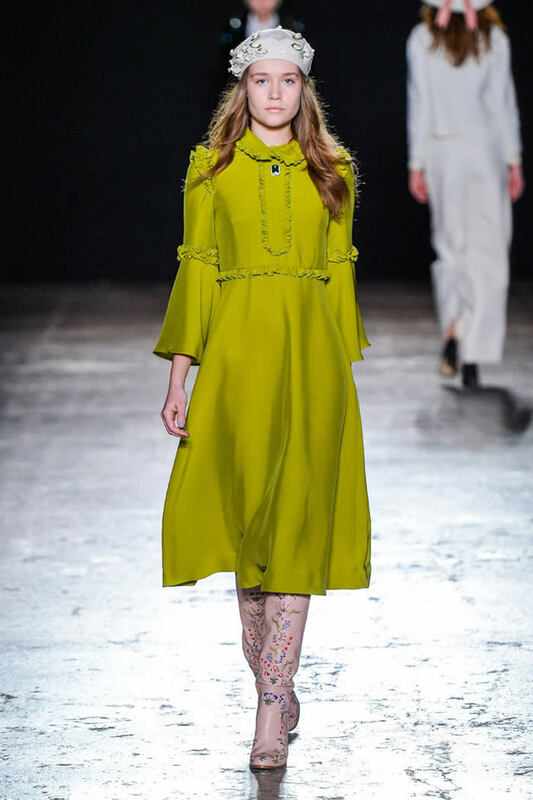 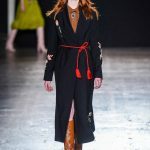 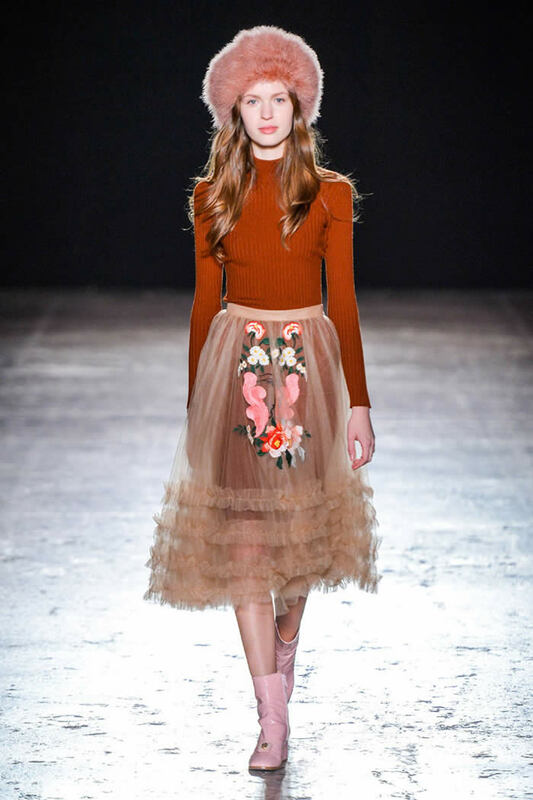 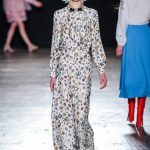 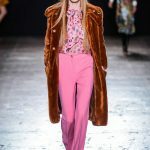 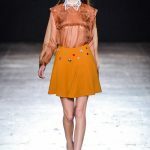 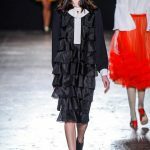 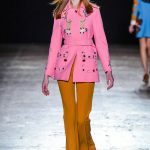 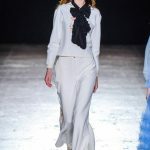 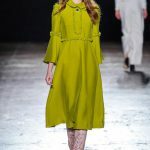 More day options included tops matched with high-waisted skirts for a Seventies look, as well as military coats, which contrasted with the ultra sweet mood.